Ant-Man, or: Where's My Super Suit? First things first: Ant-Man wasn't actually terrible. I came into the theater half-expecting Ant-Man to be a train wreck. (Not that one). With the well-documented troubled production history, including Edgar Wright's exit, Ant-Man seemed poised to be the next disaster of the Marvel Cinematic Universe. Instead, Marvel produced a perfectly serviceable movie. It's not their best, but it's also not their worst. You should watch it! Unless you've got a perfectly reasonable stance for boycotting it, which I support 100%. Casting's fine. Plotting's fine. The movie does what it needs to do, as efficiently as it possibly can. Not really too much to write home about, really. And then there's Evangeline Lilly as Hope van Dyne. Competent, tough, and smart Hope van Dyne. A character who spends the entirety of the movie being told that she can't put on a super suit, despite being wildly overqualified for the job compared to the guy they're actually putting into the suit. You know. Because plot. Marvel's famous for doing mid-credits and post-credits scenes (except when it doesn't). The mid-credits scene features Hank leading Hope to a secret (!!!) room in the basement of his house, where he reveals a secret (!!!) prototype super suit that he and Janet van Dyne, the original Wasp (!!!!!!!! ), worked on and abandoned (!!!!!!!!!!!!!). He says he's finally ready to finish it and let Hope wear it. The scene ends with a wide-eyed Hope saying, "It's about damn time." Sure. Except the movie's already over and we won't actually see Hope suit up for a pretty long time. And even then, Marvel's still got an enormous gap in its diversity issue, which is sad: the movie-producing giant could really change the entire landscape of superhero movies if it wanted to. As a lifelong member of the geek tribe, I've had no shortage of superheroic adventures to consume. However, I've also rarely had an Asian superheroic action hero that I could look up to that wasn't relegated to a martial arts master role with a bad accent, or some kind of sidekick rather than the headlining hero. Kato is an unrivaled badass, sure, but the show/movie/radio drama isn't called "The Green Hornet & Kato." (Interesting side note: Kato's nationality is apparently interchangeable). Jackie Chan is also fun as hell to watch, but is "kung fu dude" the ONLY role an Asian hero can have in an action movie? And let's not get started on stereotypical Asian villains. There've been a lot of strides in the right direction lately, at least. 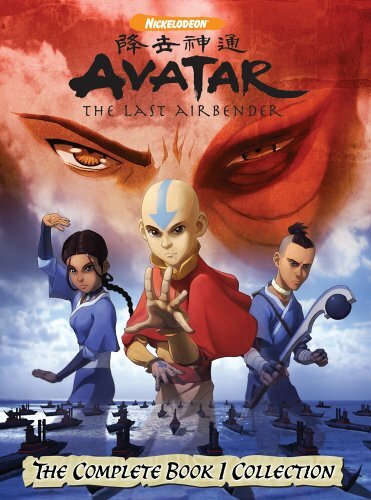 Avatar: The Last Airbender and The Legend of Korra have been wins in the representation department, no matter how hard M. Night Shyamalan tried to pervert it. There's even more ways that Korra pushed the boundaries of "children's" entertainment, but I'll probably write about that more in depth later on. Big Hero 6 was also a wonderful recent win for diversity in superhero media, too. My initial fear was that it would devolve into infantile Orientalism--the city is called San Fransokyo, and there's lots of "look at these Asian things!" imagery in the concept art. And yet, the movie actually pulled it off and we came away with a real gem. The reason, I think, why these things worked was because the storytellers didn't make it a big deal that their main characters weren't directly coded as white, or that they were biracial. They presented these things as normal. They didn't specifically call attention to the fact that their main characters were based on Chinese or Inuit or Japanese cultures (until the Racebending movement started as a result of The Last Airbender's absolutely bizarre casting choices, which, SERIOISLY?) These characters inhabited a space where their skin color didn't matter--it was part of the normal landscape, and they didn't need to lampshade the fact that these characters were not white. - Actor Jackson Rathbone on playing Sokka. Unfortunately, these are all cartoons or animated, and even if the characters themselves were nonwhite, a large portion of the voice cast was. We're even farther behind on the live action front. Marvel's television efforts have been a little more successful at showing diversity, but not really by much. Agents of S.H.I.E.L.D. has characters like Melinda May, Mack, and Skye, at least. May is a full-fledged, complicated character who's more than just an emotionless karate robot. Mack has become an increasingly welcome presence on screen, going from background mechanic dude to totally important mechanic dude with interesting conflicts (and recently promoted to main cast!) Skye's actually been fascinating to watch over two seasons, going from one of my least favorite characters in the show to becoming one I keep returning to the show for, especially now as she's developing superpowers and shot Ward a bunch. Anyone who shoots Ward gets an okay in my book. Agent Carter has been doing really well as a more feminist piece of superheroic media (despite Carter not having any visible superpowers other than being an ultimate badass). But it's also ... not really done so well for diversity, an oversight the show has since acknowledged and will apparently address next season. 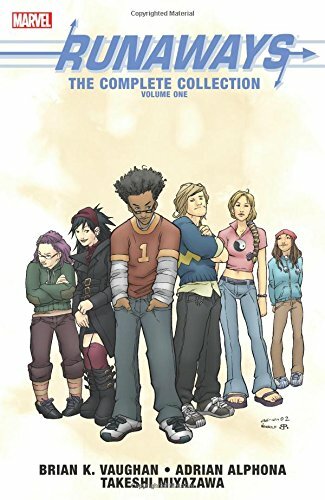 Interestingly, Marvel already has a script for a property that could do a lot for increasing the diversity of their cinematic universe: an adaptation of Brian K. Vaughn's Runaways. They're just not doing anything with it. 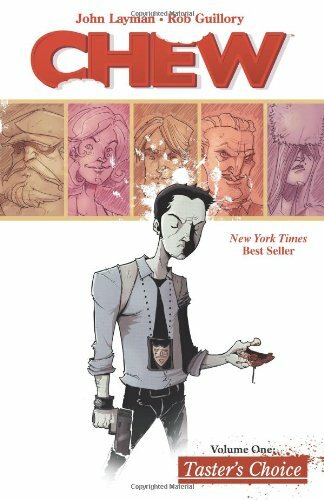 Briefly, it's about a group of teens who find out their parents are actually super villains and decide to take matters into their own hands as they learn how to use their own newfound powers. It's got Nico, a Japanese-American goth mage. It's got Gert, a wise-cracking overweight girl with a telepathic dinosaur. It's got Alex, an African-American gaming nerd whose superpower is basically being smarter than everyone else. That's just the tip of the iceberg. That cast is amazingly diverse and memorable. They're the kind of people I would've loved to hang out with. They're the kind of people who could be and should be superheroes. They're normal folks, who also happen to have powers. The one downside is that if that movie comes out, Marvel could very well point at it, say they've done their job, wash their hands and continue pumping out white male superhero movies while leaving diversity in its own special corner. It's frustrating that this is still the Hollywood landscape we're in, but I don't really see that changing anytime soon. Our stories are worthwhile, too. It's about damn time we started seeing characters that actually represent everyone we see around us, and movies that point out the reality that we all have the potential to be heroes. While Hollywood might be lagging behind on this front, there are so many other places we can go for this kind of representation. 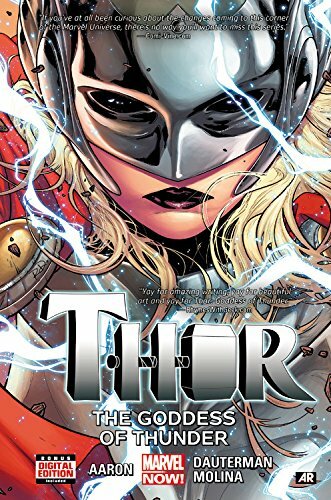 Even the source of Marvel Studios' movies, the comics themselves, have been opening up for more and better representation. Again, read Runaways (Brian K. Vaughn's original run; strangely, Joss Whedon's take on snarky teens with powers isn't his strongest work). Even James Gunn, he who brought us DANCING BABY GROOT, thinks Runaways needs to get adapted soon. 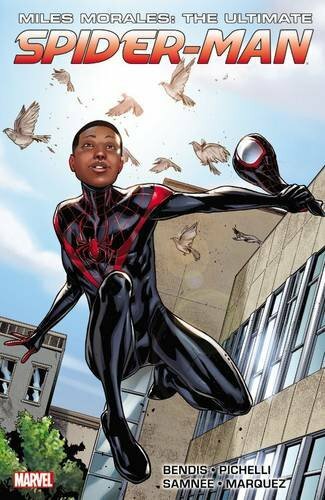 Miles Morales is Ultimate Spider-Man, and he's going to continue in the new post-Secret Wars Marvel universe. 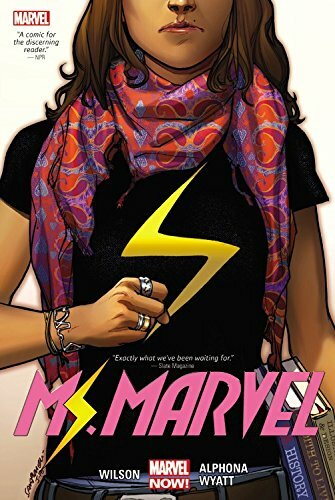 Kamala Khan is Ms. Marvel, and her character's been turning heads everywhere. Even Thor's all-new, all-different, much to the chagrin of some haters. 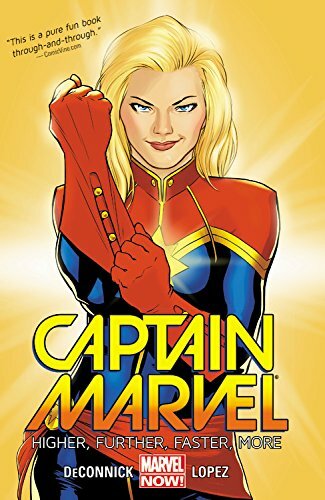 Carol Danvers is Captain Marvel, AND she's getting a movie in 2018. Alias, the series by Brian Michael Bendis featuring Jessica Jones, is getting the Netflix treatment this year, as is Luke Cage. David Tennant will be in Jessica Jones' series as the Purple Man. WHAT MORE DO YOU WANT? Don't like the mainstream superhero comics? Try Chew. It's like Pushing Daisies meets Hannibal. An animated adaptation is on the way with Steven Yeun and Felicia Day. And David Tennant, in a role originally intended for Robin Williams. You can binge-watch Avatar: The Last Airbender and The Legend of Korra. Both have comic continuations, too, and the A:TLA ones have been fantastic reads. It's not about meeting quotas. It's not about diversity for diversity's sake. It's about telling more stories with more people with greater complexity. It's about moving beyond the stereotypes and tropes that already pervade our pop culture and telling newer, better stories. These are the stories I support--good storytelling with amazing characters that don't all have to be white and male and named Chris. These are the stories that I want to see hitting the Marvel Cinematic Universe, where people who look like me and very likely you can be just as superheroic as anyone else. It looks like it's going to be a while before that happens. Ant-Man was fine. I'm sure Doctor Strange will also be a hit. I'm ambivalent about the new Spider-Man, especially given the leaked Sony emails, but the movie will still probably make a gazillion dollars. In the meantime, we can support the things that show that these stories really are worthwhile and necessary. It's about damn time we had our own super suits, too. Hat tips: thanks Nella of Chez Apocalypse, Margaret, and Nicole for helping me put a lot of thought into this one. In which Jeff writes about things that are currently interesting to him. You may also find it interesting. Rule 1: It's about inspiration, not winning. Marvel's still got an enormous gap in its diversity issue, which is sad: the movie-producing giant could really change the entire landscape of superhero movies if it wanted to.